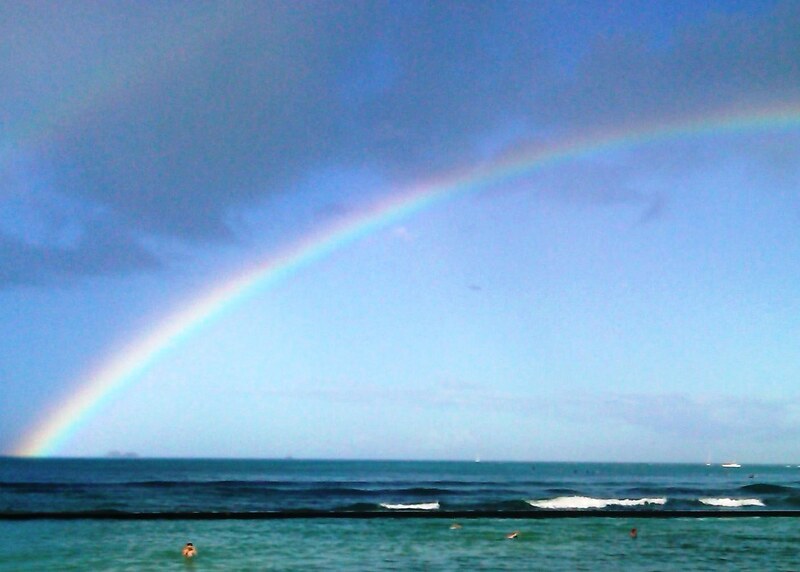 Photograph taken from Kuhio Beach, Oahu, Hawaii, September 2011. Smack dab in the middle of Waikiki is the International Market Place. While this may seem a typical tourist attraction, it is the legacy of a king and queen driven to establish a hospital to “stay the wasting hand that is destroying our people,” as King Kamehameha IV stated In his maiden speech to the Hawaiian legislature. By the time he became king, the Hawaiian race was approaching extinction due to diseases introduced by foreigners. The native population had dwindled to a fifth of its original size to about 70,000 people. His wife was Queen Emma, who was adopted and raised by her British uncle and Hawaiian aunt. While she was an excellent horse rider and a fine vocalist, Queen Emma was, above all, a humanitarian and she joined her husband in a personal crusade to stem the decline of Native Hawaiians..
She and the king founded The Queen’s Hospital. To personally raise funds, they went door to door, walking the streets of Honolulu. Today, The Queen’s Medical Center, the successor to The Queen’s Hospital, is the largest private non-profit hospital in Hawaii. Just under three acres, the land under the International Market Place is owned by The Queen Emma Land Company, a nonprofit organization established to support and advance health care through The Queen’s Medical Center and its affiliates. The International Market Place was founded in 1956 by Ernest Raymond Beaumont Gantt, otherwise known as Donn Beach, and more notably as Don the Beachcomber. He commissioned the Dagger Bar and Bazaar Buildings, and during the 1960s, other elements included the Hawaiian Halau, Japanese Tea House and Esplanade buildings. The exceptional banyan tree, which stands to this day, was also once home to Don’s tree house. I remember visiting the area in these early days. There was a radio station that broadcasted live near the banyan tree, and wide walkways provided access to tourist shops and eateries. It was a treat for my mom, my little brother and me to wander through this area while waiting for my dad to finish his second job of bussing and waiting tables in a Waikiki restaurant. In time, second floors were added and kiosks filled walkways so that the marketplace concept evolved into a cacophony of trinkets, colorful aloha wear, and Hawaiian souvenirs crafted in other parts of the world. The density of vendors, wares and activity overwhelms the senses so that one is oblivious to the surrounding high-rise hotels, busy streets and high-priced boutique retail chains.